More than a labor of love, The Dream of You is a reckoning, a polished-to-a-sheen tribute to bebop’s greatest orchestral mind. Like Tadd Dameron, vocalist/producer Vanessa Rubin came up in Cleveland, and she’s spent years developing a program devoted to his seminal, often lushly romantic music. Directed and co-produced by Cecil Bridgewater, the album hits all the right notes, with a thoughtful array of Dameron’s standards and lesser-known works arranged for a talent-laden octet. In many ways this project highlights the vital, ongoing presence of bop-era masters and their unprecedented creative longevity. Although Dameron died in 1965 at the age of 48, afflicted by addiction and a lack of playing and recording opportunities in his final decade, Rubin makes brilliant use of nonagenarian stars Jimmy Heath and Benny Golson, and the late Frank Foster and Willie “Face” Smith (a Cleveland jazz institution) for arrangements. The results are consistently lovely, and often revelatory. A fine singer, Rubin has never sounded better than on the ballad “Whatever Possessed Me” and moderately swinging “I Think I’ll Go Away.” Wrapped in Heath’s sinuous brass charts, which key on Alex Harding’s pleasingly gruff baritone sax, she makes a compelling case that both songs should be rescued from obscurity. Likewise with Bobby Watson’s strikingly beautiful arrangement of the ballad “Never Been in Love” and Foster’s exquisitely detailed chart for “You’re a Joy,” pieces that provide welcome reminders of Dameron’s melodic genius. Rubin contributes an original lyric for another gorgeous ballad, “Reveries Do Come True (The Dream Is You).” Throughout, she’s well-served by her top-shelf rhythm section featuring pianist Jon Cowherd, bassist Kenny Davis, and drummer Carl Allen. Recorded within months of Tadd Dameron’s 100th birthday, The Dream Is You is a belated but fully realized celebration of an overlooked modern jazz giant. 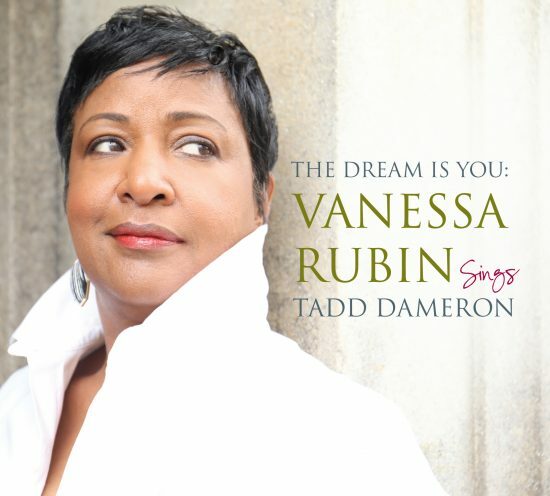 Preview or download The Dream Is You: Vanessa Rubin sings Tadd Dameron on Amazon!